PenguinProxy is a free, peer-to-peer VPN service that promises to allow you to browse anonymously and securely. As you may already know, we often warn our readers about the risks associated with using free VPNs, especially those of the peer-to-peer kind. With the growing popularity of PenguinProxy, we felt it was our duty to write a completely honest PenguinProxy review and let our readers know exactly what they get with this novel VPN. PenguinProxy’s client features a simplistic design with the color scheme dominated by light blue. Apart from a large drawing of a penguin, a proxy on/off switch, and a list of servers including 2 lonely options, there is not much else to see. By clicking the gear icon in the top right-hand corner, you gain access to the settings, all modifiable in a single click. Downloading and installing the PenguinProxy client is equally simple and requires a couple of clicks and a few minutes. You do not need to create an account and you do not need to share any personal information at any point. According to PenguinProxy representatives, the service operates about 20 servers. You cannot actually see the exact server locations since the server list only allows you to choose between “USA” and “Any” server. We assume that the company’s servers are based in the US and by “Any” they mean the location of the peer whose computer is used to route your traffic. The speeds are generally good due to the absence of strong encryption and the performance is solid. In terms of leaks, we have both good news and bad news. PenguinProxy manages to pass IP leak tests, but it fails miserably when it comes to DNS leak tests. At the moment, PenguinProxy offers clients for Windows, Mac, and Linux. It is not compatible with Android and iOS and it does not work with routers, game consoles, smart TVs or any other device for that matter. According to the official website, a browser extension is in the works, but the launch date has not been set yet. Since PenguinProxy is available free of charge, you can install and use it on as many devices as you wish. However, that is not a particularly good idea, as we will explain in the following sections of this PenguinProxy review. Saying that PenguinProxy is feature-poor would be an understatement, as is to be expected from a free VPN. Apart from unlimited simultaneous connections, it offers an ad block that allows you to enjoy an ad-free environment while browsing. You can further limit bandwidth consumption to just 100 MB per day and add proxy exceptions or reverse exceptions, depending on your needs. Finally, you can decide whether you want to use a random IP every time you use PenguinProxy. The service does not support torrenting, which makes sense since it does not provide the kind of security and anonymity necessary to safely use torrents. It is unable to unblock popular streaming services, which comes as no surprise, as even some of the top-rated VPNs are unable to provide their users with a seamless streaming experience. PenguinProxy only supports HTTP and HTTPS protocols and your data is encrypted via TLP. 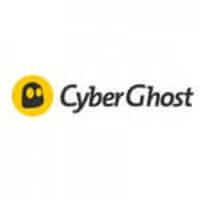 Although the service promises to support other more secure protocols in the future, at the moment, it provides low-level security and it does not have what it takes to keep you safe online. For more bad news, PenguinProxy has not yet adopted a strict no-logs policy and it does keep what the service claims to be anonymous logs of requests. The logs are supposedly used for debugging and they are kept for 2 weeks. The absence of a no-logs policy combined with the fact that other users’ traffic is routed through your computer makes PenguinProxy a poor choice for your online security. PenguinProxy’s support staff can be reached via email, Discord, and live chat. For the purpose of this PenguinProxy review, we got in touch with the support staff via live chat and we received a response after 6 minutes, which is pretty good for a free VPN that is currently a proof of concept and does not aim to become profitable in the near future. If you want to look for answers yourself, you can visit the FAQ section of PenguinProxy’s official website and get the basic information about this VPN service. As stated previously in this PenguinProxy review, this VPN service is available free of charge. You can download Mac, Windows, and Linux clients straight from the company’s website and use the service without any limitations. 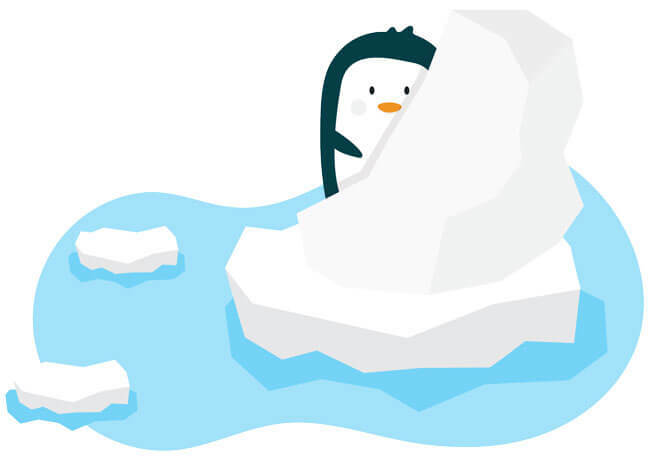 The folks behind PenguinProxy are thinking about charging monthly fees for additional features in the future, but they promise that their service will always be ad-free. They further state that they will never sell data about their users, but since there is no way to check, you have to take their word for it. Our ratings are the result of an objective and independent evaluation of PenguinProxy, generating the final rating that reflects the overall quality of the company. Ratings may change as the service changes. PenguinProxy user rating based on 2 user reviews. How did you fix your proxy settings/ I am so frutrated - having the same issue here! Hi Michael, Really sorry to hear about your issues with PenguinProxy! We definitely screwed up. We would have been more than happy to help you fix your settings if you had contacted us using the live chat on our site. PenguinProxy is still a beta product and we do expect some bugs to happen from time to time, and we are explicit about that on our website. The messed up proxy settings you refer to was caused by a bug in our client that we have since fixed. Again, we're very sorry that we didn't catch this before it affected you; unfortunately there are only so many setups that we can test on ourselves.We will never collect data about you except for debugging purposes while in beta. And we will certainly never sell data about you. We're even working on a protocol to make it provably impossible for us to access any data about what websites you're visiting.As for swapping bandwidth with other users, that's part of the reason PenguinProxy is more secure than a centralized VPN. Many peers have to cooperate in order to rebuild any kind of history about your online activity. 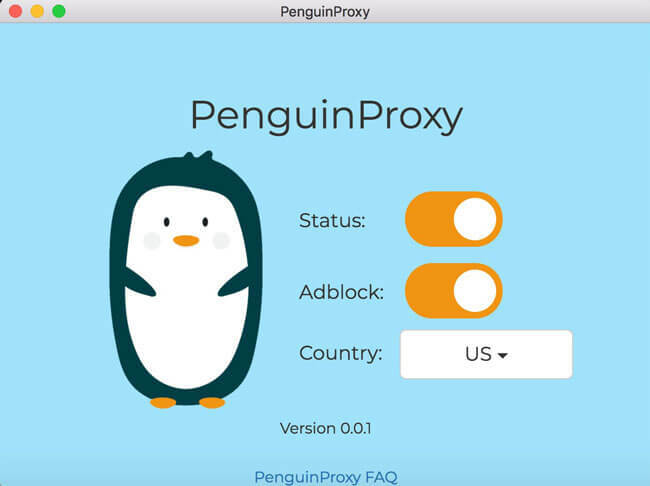 With a centralized VPN, all of your traffic activity is funneled through servers controlled by a single company, which means that it's very easy for them to monitor your activity if they wanted to.If you have any other questions or concerns, please don't hesitate to email me at hello@penguinproxy.com. We found 0 verified PenguinProxy discounts for April, 2019. There are no PenguinProxy coupons or discounts right now.